Bring an empty suitcase along for a day of unbeatable brand-name shopping at low prices! 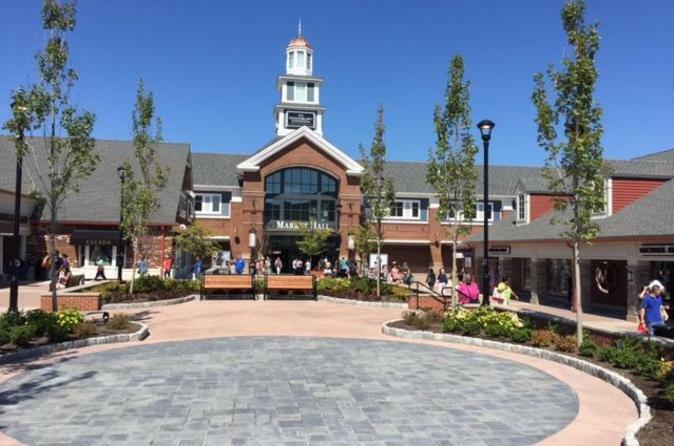 Take a trip to Woodbury Common Premium Outlets for discount shopping on major brands and labels. Featuring 220 stores and eateries, there's no better place for a day of bargain shopping in New York. You can choose from a range of departure times to suit your needs, whether it be a quick four hour shop or an eight hour splurge. Present your voucher at the customer service booth in the tower building for a VIP Coupon Book which entitles you to hundreds of dollars of additional savings! Woodbury Common features 220 stores offering the largest collection of upscale designer and name-brand outlets in the world. Stores include: Adidas, Banana Republic Factory Store, Barneys New York Outlet, Burberry, Coach, Dolce & Gabbana, DKNY, Frette, Giorgio Armani, Gucci, Zegna, Max Mara, Neiman Marcus Last Call, Gap Outlet, Nike Factory Store, Saks Fifth Avenue Off 5th, Polo Ralph Lauren Factory Store, Salvatore Ferragamo, Tommy Hilfiger, Timberland, Versace. And there is much more including a selection of eateries and sit down restaurants. This New York shopping tour is a highly recommended tour that offers a premium outlet shopping experience unlike any other! Special Offer - Book by July 1 to save 11% off our previously offered price! - Book Now!